Apply for a Cresco career today. Please contact our parts division for more details. Cresco has over 11,000 pieces of equipment. from Redding down to Gilroy. ZERO RESERVATION FEES. LARGE INVENTORY. We will teach you how to use what you rent. Cresco Equipment Rentals delivers comprehensive equipment solutions and unprecedented premier service. Contractor to homeowner, large construction project, remodel, facility services, movie production or major event, we’ve got you covered. We aren’t just order-takers. We’re knowledgeable, proactive problem solvers. If you are looking for superior quality, over-the-top personalized customer care, and extensive industry expertise, contact us today. Make Cresco your first choice. For golf carts, surface prep, event flooring or other specialty items, contact our Sales team for details. Working outside the Cresco service area? Try another Cat Rental Store. Northern California’s DIY headquarters, carrying quality tools & equipment for all your projects big or small. We carry the name brand tools & equipment that you see the pros use, and our staff is patient and knowledgeable. This division was built around the understanding that the production & event business has different needs & demands when it comes to renting equipment. We have that specialized equipment and staff to meet these needs. Whether you’re purchasing or renting, our team has the equipment and knowledge to guide you towards a solution that works best for you. Carrying some of the Bay Area’s more specialized aerial equipment, along with surface cleaning & prep machines makes us a great place to start. Tom, I just wanted to let you know what a great job Cresco is doing for us. You guys have such a large inventory with new equipment and an amazing staff that is always there for us. Thanks for being a part of our team! Cresco Rentals has a great reputation for exceptional service and dependability. They have been able to fulfill most of our equipment rental needs with their vast array of both small and heavy equipment inventory, whether your project is small or large. 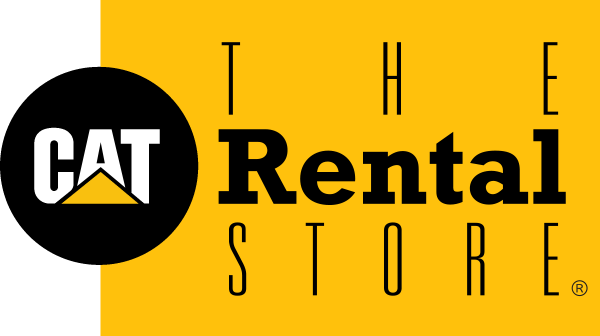 No matter if it’s something you need in a week or need immediately, they have been able to meet most of our rental needs within the time frames we desire. Thank you very much for your excellent service, you and Cresco always help me whenever I call. I just want to say a great big Thank You for all that you do for us. You are the first call I make when things go bad on equipment we rent, I even bypass the shop and office because I know you will make things happen. I can't thank you enough and I know you probably don't hear that very often. The industry and world needs more people like you. Thanks again. 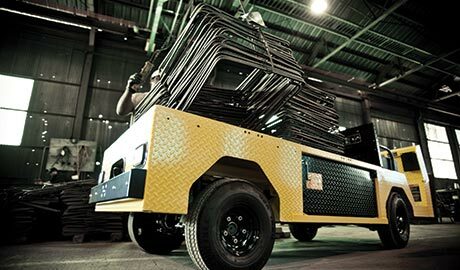 Cresco Rentals is a step ahead of the competition. Suzanne Ward, my sales person goes over and above to keep us supplied with our equipment needs in an exceptional manner. Deliveries and pickups are on time as promised and the rates on our rentals are better than anyone else in the business can offer. For all of the above reasons we try to do as much of our business with Cresco rentals as possible. Feather Falls Casino hosted the biggest professional BBQ competition in Northern California this year. Cresco was able to pool the resources from several of your rental yards to provide us with the best products we could have hoped for. All the generators were brand new and quiet as could be. All the other equipment was clean and nice to work with. Your company even had the equipment delivered and set up by a mechanic in case there were issues with anything. The product and customer service was outstanding and we will be calling Cresco first for everything now. Thank you very much. When it comes to equipment rentals, Cresco is our “go to company”! They always have what we need and are very fast and efficient with scheduling. It’s always a pleasure doing business with them. Ken Besser is exceptional and has served me well for over 20 years. His dedication to providing the best service and equipment for our jobsites is outstanding. Cresco has been by our side since Day 1 of our business....treating us like a true industry partner through their customer service and personal interface. As a builder, we are only as good as our people and the equipment we use to build our buildings. Any time we need to rent a new CAT bulldozer Cresco is always the first call and you always come through with fast service. Mike Meyer always makes himself available (even after hours) when I’m up against a deadline. 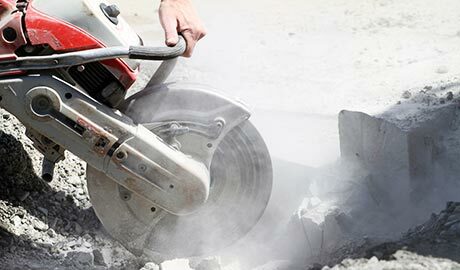 Cresco Rentals continually meets our equipment rental needs. Brian Womble our sales Rep and his supporting associates work hard to meet our needs every time. We have the option to rent from competitors but choose not to because of the great service we constantly get with Cresco. We've have been dealing with Cresco Equipment Rentals since the late 1990s, from Brian, Pat and Ken as well as others (virtually all still with you). Cresco is invariably my first call for two primary reasons: clean, properly functioning and quality equipment (Cat, Genie etc.) delivered quickly. Regardless of how busy the trades are, Cresco gets us what I need when I need it. Somewhat surprisingly, with all that said, your pricing remains competitive...thanks for the great service and quality equipment. I can’t say enough about both the managers and employees at the Lafayette branch. They all jumped in and help me manage the lift into position with both care and concern. Their efforts took what had become a frustrating endeavor and made it possible; my whole attitude and dark cloud dissipated. Great customer service, thank you! Jason Richey is an extremely resourceful equipment sales representative. He's in a league of his own when it comes to the urgent and precise requests from Shimmick Construction. I know when I place an order with Jason, it will be executed promptly and flawlessly. When it comes to Salesman – hands down the best ever...Brian Womble at Livermore Cresco! 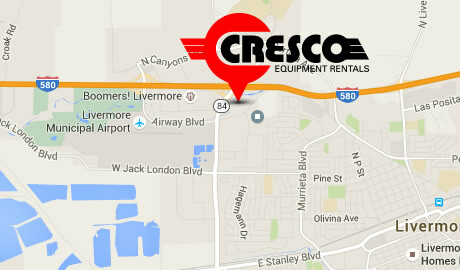 If you need to rent construction equipment, call Deanna the Dispatcher at the Livermore Cresco. She has excellent customer service skills and always finds exactly what I need and fast!